We know about the men’s agony of trench war from poets such as Wilfred Owen, Seigfried Sassoon, Rupert Brooke and others but know little of the agony and anguish of the women who were left to ‘endure’, to survive, dream and wonder of how their lives and the lives of their children would be affected. The poetry available to you in this short section tells of of the Brides that never were, their hearts breaking for the men they loved and lost. The Wind on the Downs’, was written by Marian Allen in May 1917. Allen wrote the poem a few days after she heard the tragic news that her fiancé, Arthur Tylston Greg, had been killed in an air battle over France. He was 22 years old. You seek adventure some other place. 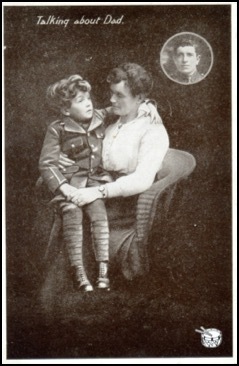 Marjorie was the sister of Captain T_P_Cameron_Wilson the war poet: 1889-1918. Their Father was the Reverend T Cameron Wilson of Little Eaton in Derbyshire. Marjorie’s War Work included nursing service with the Voluntary Aid Detachment and with the War Relief Office. Marjorie Wilson wrote under the pen name Town Girl in the Children’s Newspaper, to which she sent many of her poems and sketches. However shortly after she turned 30 she was told that she had a terminal illness and spent the next six months writing verses which she called ‘A Memory’ Then she had a temporary respite and she recovered and stayed in good health. And he had pity for all piteous wrongs…. All those – the brave – you must remember him. ** T.P.C.W. was T P Cameron Wilson, the poets brother, killed in action 1918. This poem is included in the Anthology: ‘Scars Upon My Heart’ by Catherine Reilly © by owner. provided at no charge for educational purposes. But – I ain’t living bad. Now – silk stockings, mi friend! In death – and pass by. The heated brow of the ailing child. Of the boy or girl, thrilling to mother love. Are coarsened in munition factories. Is the shrine of the spirit. Mounts like a poison to the Creator’s very heart. Must It anew be sacrificed on earth?